20721 N Calhoun Ln, Nine Mile Falls, WA.| MLS# 201824732 | Cooper Realty Services (509) 599-1111 | Spokane WA Real Estate | Contact us to request more information about our Homes for Sale in the Spokane WA area. 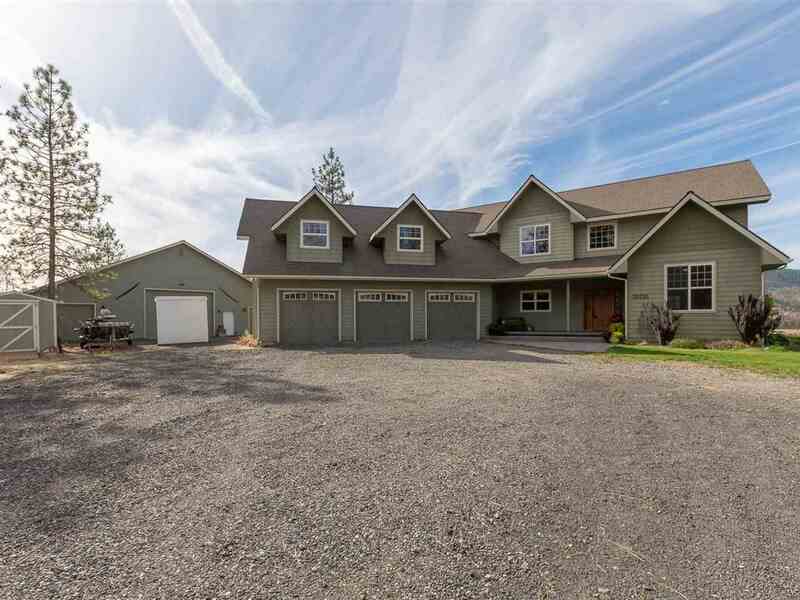 Remarkable Custom built on 10 acres w/breathtaking views of Lake Spokane. Energy efficient home features zonal Geothermal heat & cooling. Chefs kitchen has ample cabinet space, dbl ovens & walk in pantry. Main floor guest suite w/attached bath, fam room, living room, 1/2 bath & mud room. Upstairs Large master suite, 2 large bedrooms, laundry, another full bath & 500 sq. ft. bonus room! Attached 3 car garage & 40x62 detached shop w/Hardiplank siding. Center bay is insulated & heated w/radiant floor heat.